Washington (dpo) - This weekend, Donald Trump took to Twitter repeatedly accusing his predecessor Barack Obama of having ordered surveillance on him, though he has not yet provided any evidence. 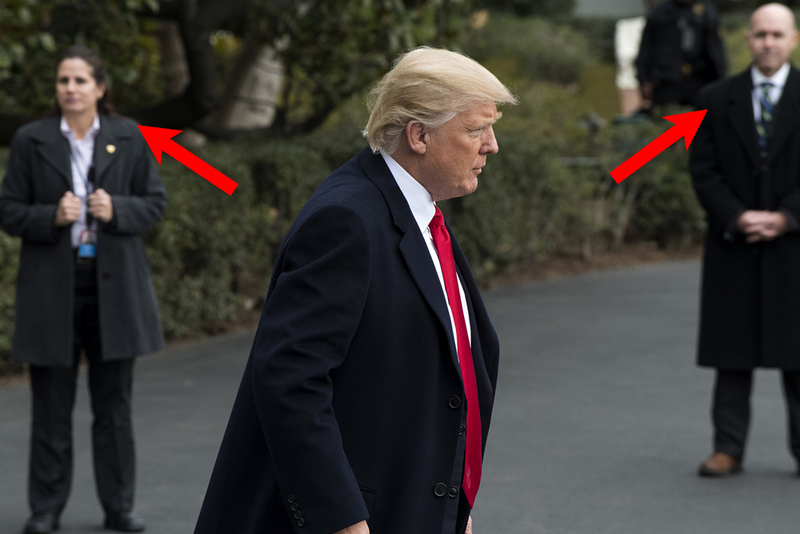 Now, the current US President has had time to think and he claims that for some time, men in black suits and sunglasses have been following him around. President Trump believes these suspicious men started following him during his campaign, when he was selected as the Republican candidate. At that time, President Obama was still in office, causing President Trump to conclude that his predecessor is responsible for his surveillance. The current President has since demanded that a congressional committee investigate the Secret Service. In the meantime, he wishes to hire bodyguards from a private company to keep the black-suited men in check.